MEMPHIS, Tenn., Sept. 07, 2018 (GLOBE NEWSWIRE) -- First Horizon National Corporation (NYSE:FHN) is proud to announce that Dawn Morris has joined the company as executive vice president, chief digital banking and marketing officer. In her new role, she will help drive growth by leading First Horizon’s digital banking, marketing and customer experience initiatives across all areas of the company. Throughout her career in banking and financial services Morris has helped transform companies through innovative brand, direct and digital marketing campaigns that have accelerated revenue growth, built brand recognition and customer loyalty. Prior to joining First Horizon, Morris was executive vice president and chief marketing officer for Webster Bank where she transformed marketing and built the digital marketing function and capabilities. She previously held retail and business banking leadership positions at RBS Citizens Financial Group and also had P&L responsibility at RBC Bank in North Carolina. Morris earned a bachelor’s degree from the United States Military Academy at West Point and served as a Captain in the Army’s 530th Supply and Service Battalion at Fort Bragg, North Carolina. She has served as the co-chair with the Governor of Connecticut on the Governor’s Prevention Partnership, on the Connecticut Veteran Parade development committee and the Girls Scout of Connecticut Board. 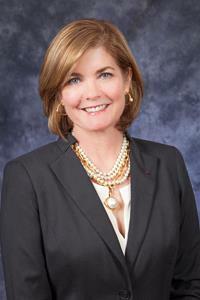 She was recently recognized as a top woman in business by the Hartford Business Journal.